The much awaited trailer of Stylish star Allu Arjun starrer Duvvada Jagannadham (DJ) has released yesterday at 7:30PM. Filled with power packed dialogues, Allu Arjun excelled with his performance throughout the trailer. DJ was launched at a grand function in Hyderabad by producer Dil Raju. The film is directed by Harish Shankar and Pooja Hegde plays the female lead. Devi Sri Prasad has scored music for the film. The trailer of this action & comedy entertainer immediately got love from Mega fans. With the trademark style of Harish Shankar, right from the first look, the film garnered a lot of curiosity. Bunny was amazing with his Brahmin diction and his dance moves are extremely eye-popping in the trailer. Definitely, it will leave you wanting for more. 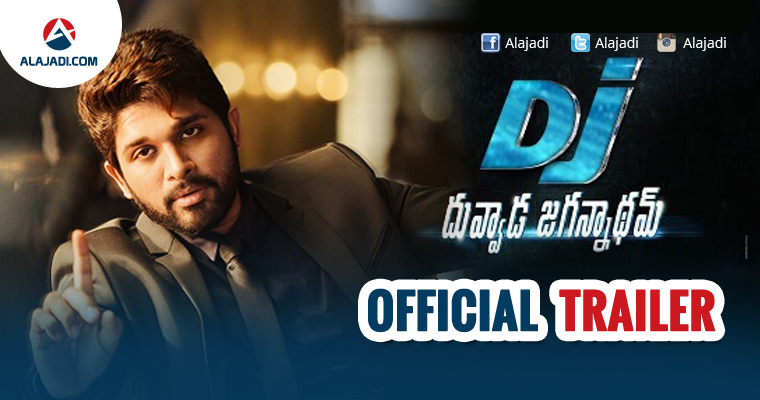 As it is 25th film under Dil Raju banner, the trailer if DJ is released in the presence of all Dil Raju directors. Featuring Pooja Hegde as lead lady, DJ is slated to release on 23 June. Devi Sri Prasad provided the music for the film. 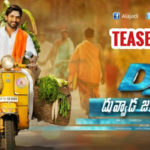 Duvvada Jagannadham is the most-awaited film in Telugu this year. It has already created a good pre-release buzz with its first single song and other promo videos. The trailer will just add to the excitement and expectations around the film. It is directed by Harish Shankar and Pooja Hegde plays the female lead. The film also stars Bramhanandam, Vennela Kishore, Tanikella Bharani, Rajendra Prasad among others in supporting roles.